Book by Mark Bramble, lyrics by Michael Stewart, and music by Cy Coleman. The greatest show on earth is the setting for the life story of Phineas Taylor Barnum. Celebrating its Chicago professional premiere, BARNUM sets this colorful personality inside the center ring of his own circus. 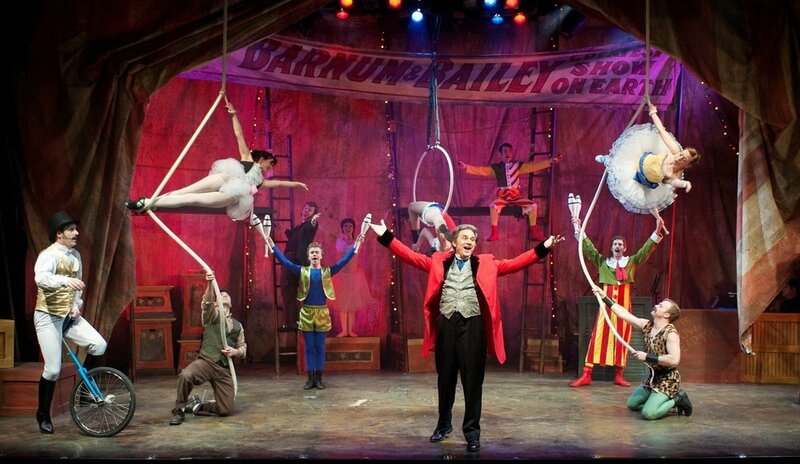 Audiences will be thrilled with high flying acrobatics as BARNUM tells the story of America’s greatest showman. This show bursts with toe tapping melodies; ballads, marches, and ragtime tunes by Cy Coleman and Michael Stewart.